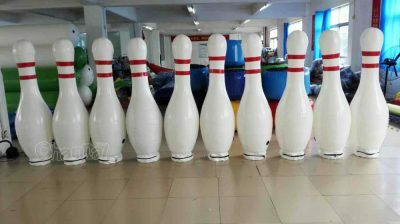 Inflatable bowling is a blow up bowling game, in contrast to traditional bowling which pro bowlers and amateurs throw bowling balls on flat surface wooden lanes in bowling alleys and centers, inflatable bowling can be played both outdoor and indoor, on lawn, ramp, snowfield and more. A bowling set inflatable game often contain an inflatable bowling alley lane, several blow up bowling pins and bowling balls. One type of inflatable bowling game is called human bowling. Human bowling literally means humans as balls to knock over life size pins and targets. 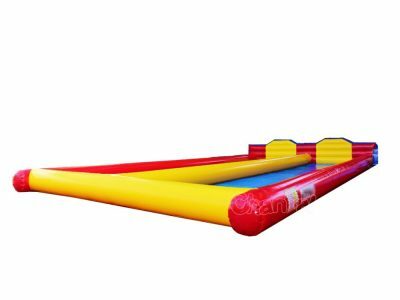 There are several ways to launch human as bowling ball, such as walking in giant human balls, sliding from a ramp on water park raft, pushing bubble bumper balls or creating your own ways. 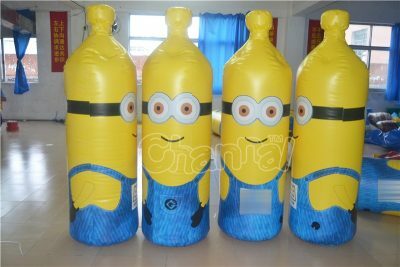 Channal Inflatables is a professional inflatable bowling set manufacturer in China. You’ve came to the right place looking for your ideal products for your business or event, contact us and let’s discuss more details.